Having extremely dry skin and also dehydrated skin is something I have mentioned a lot on my blog so I am sure unless my blog is new to you, you're aware of my skin woes. Around 6 months ago I was chatting to the sales assistant on Estee Lauder and we were just having a general chat about makeup and beauty etc she wasn't trying to sell me anything. We got talking about skin care and she kindly told me she didn't think I looked old enough to have daughters the age mine are, then we were talking about our skin types and I told her how I hated my dry skin and as winter was soon approaching that it would only get worse, and boy has it got worse! The lady recommended I try the Estee Lauder Micro Essence Skin Activating Treatment Lotion, she put a little on the back of my hand and it did feel nice, she said it was really good for dry skin but didn't really go too much into detail about it, I decided to research the micro essence myself and found that it might be something that would be good for my skin but it is expensive and I was unsure about spending that kind of money. A few weeks later my daughter actually bought me a bottle as a gift, she is a MUA and gets brand discount so she was able to purchase the micro essence for less than half the price I could and she picked me a bottle up as she knew I wanted to try it but was worried about the price. I have been using it now since mid August and wanted to let you know my thoughts. First of all I have to say I love the packaging, it is a lovely frosted glass bottle with a gold lid but glass packaging does scare me a little because I worry I might drop it and smash my sink, needless to say, this doesn't leave the bedroom! But aside from that it is nice packaging. 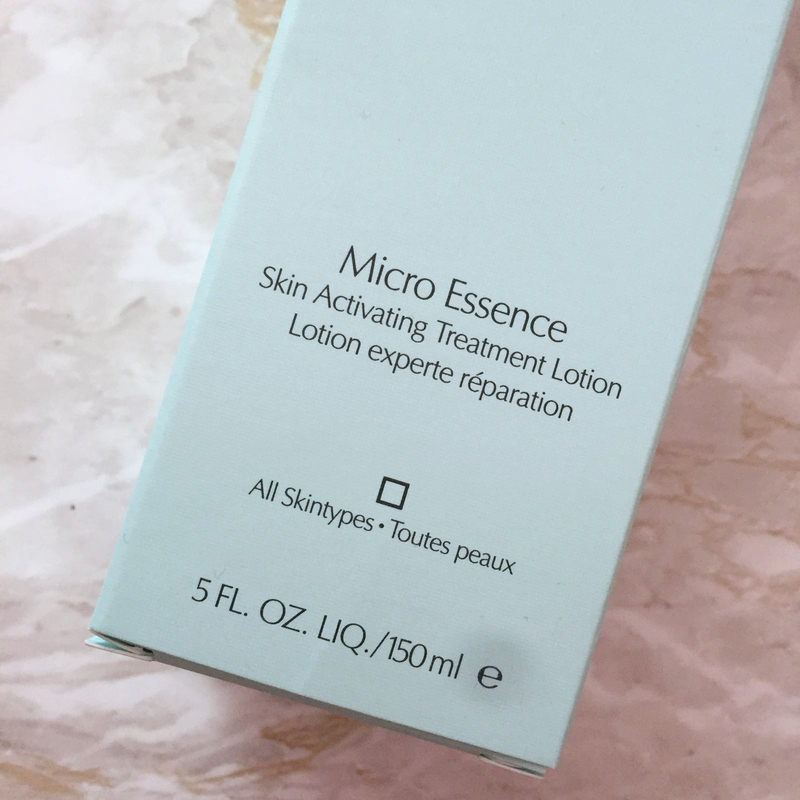 The Micro Essence Skin Activating Treatment Lotion comes in 2 sizes, 75ml (£48.00) and 150ml (£68.00) in terms of value for money, buying the 150ml makes much more sense because you are getting double the amount for £20.00 more. I have the 150ml size and have been using it for a good few months now and I am not even a quarter of the way down the bottle which is good news considering the price. I apply the micro essence by tipping a little into the palm of my hand and then patting my hands together and patting it onto my face, if I need to concentrate on certain areas of my face I will upturn the bottle onto my finger and apply it where I want to, you can pop it onto a cotton pad and use it like you would a toner but I feel you would waste a lot of product using it like that and lets face it, it is too expensive to waste. I apply the micro essence after my toner and before my serum morning and night time. The first time I ever used the micro essence I used it in a morning and I noticed straight away that my serum didn't sink immediately into my skin after applying it, because my skin is so dry/dehydrated it usually does but it didn't, it took a few seconds to sink in and my moisturiser seemed to take a little longer to sink in too. The more I used the micro essence the more I noticed my serum and moisturiser would take longer to sink into my skin and the same at night with my advance night repair or mask or whatever I might be using, they were taking longer to sink in too. I have been using the micro essence for 4.5 months now and my skin definitely feels less dehydrated, I have to admit there have been times when I have let my skincare slide due to my health recently but when I have been using my skincare I have used the micro essence and it has definitely made a difference to my skin and the dehydration, and I am really pleased with the results and think if I had not let my routine slide I would have had much better results than I have. Would I re purchase? I have to be honest here and say yes 100% at the discounted price but I am not in a position financially to spend £68.00 on a skincare product, if I were then yes, absolutely and without hesitation I would purchase it at the full price, but for me, if I can't get it at the discounted price then unfortunately I will have to find an alternative, but judging on the amount I have used, it will last me a very long time anyway, but if this is within your budget I would say 100% go for it. 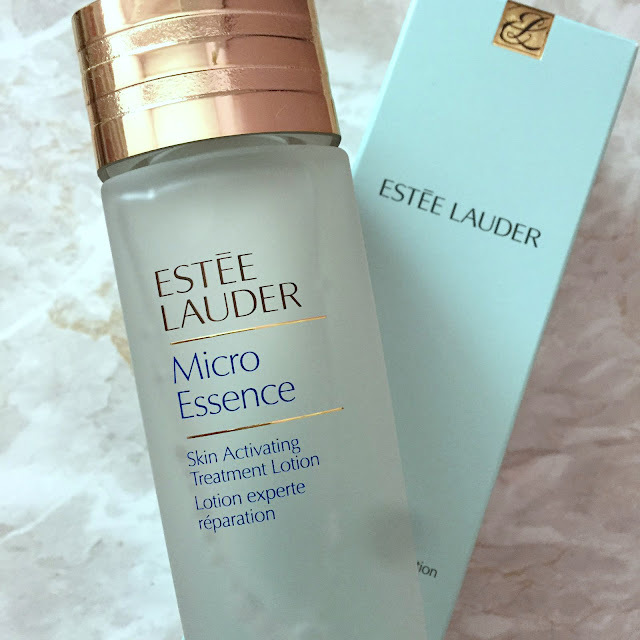 If you would like to try the Estee Lauder Micro Essence Skin Activating Treatment Lotion, you can find it on the Estee Lauder website here £48.00 (75ml) Look Fantastic also stock the 150ml bottle here priced at £68.00. Have you tried the micro essence? Can you recommend a similar product that you think I'd love? Let me know in the comments section below.